Our Didcot office has found a piece of Wallingford town history dating back to 1799, propping a bedroom door open! 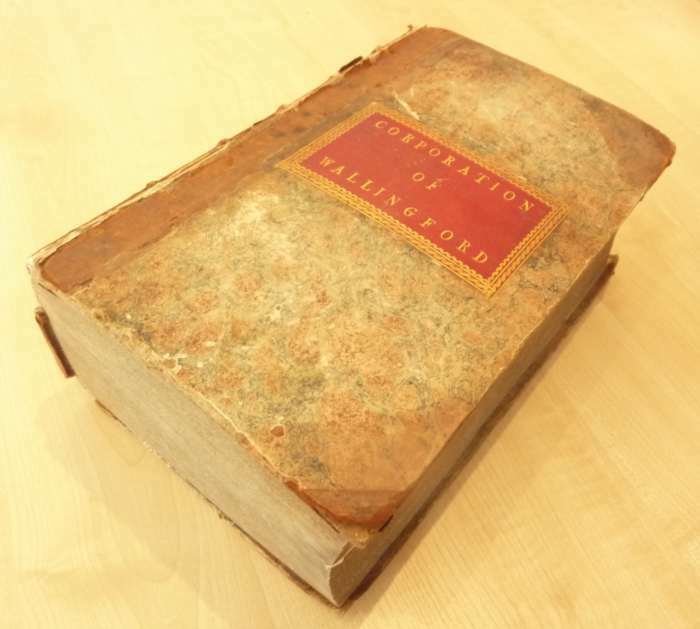 The book of statutes believed to have been bought by the Wallingford Corporation in 1799 as a reference book was given to Lesters as a recognised and integral part of Wallingford’s community, in order to find a suitable place for it to be enjoyed and used by the town’s people. As such the book will be donated to the Wallingford Museum to be added to their large collection of Local history. If you have any interesting artefacts, bring them in, we love to see them and will be happy to help you find them a good home where the community can see them.